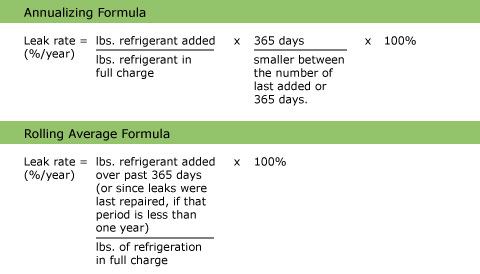 Owners of commercial refrigeration equipment using an HCFC refrigerant with a charge greater than 50 pounds must document the full charge of the appliance and calculate the leak rate each time refrigerant is added to the system. These guidelines were developed to monitor the amount of refrigerant used, as well as the extent of any leaks. 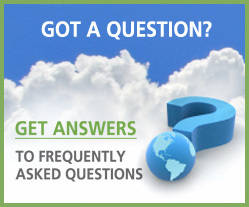 Calculations based on component sizes, refrigerant density, volume of piping and other considerations. Actual measurements of the amount of refrigerant added or evacuated from the appliance. Use of an established range based on the best available data. This method requires you to document how you determined the full charge. Full charge is necessary to determine the leak rate. For commercial refrigeration equipment, EPA says the trigger leak rate for a 12-month period is 35 percent of the full charge. According to the latest rule, there are two acceptable methods for calculating leak rate: annualizing and rolling average. However, the equipment owner must select and consistently use only one method over the lifetime of all the appliances located at a facility.